* Please Note: This item can only be sold and shipped to general contractors or licensed chimney sweeps. Orders to the general public cannot be fulfilled. 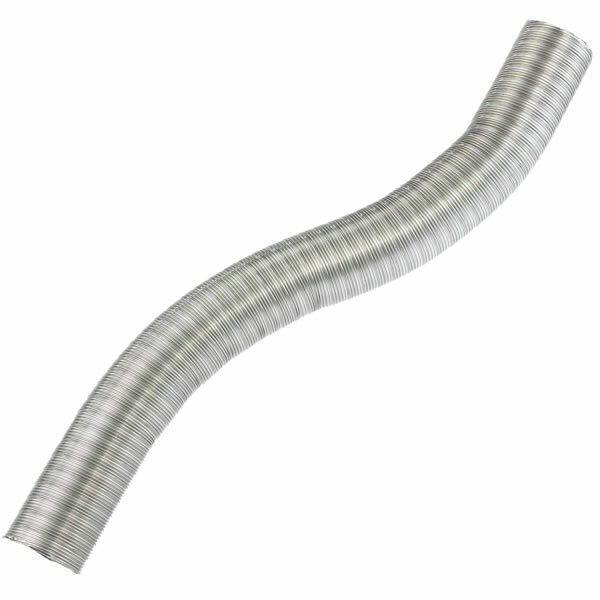 Looking for a chimney liner that is super flexible, yet will stand the test of time? Then perhaps this one by Ventinox is for you. It comes with a manufacturers lifetime warranty for gas, pellet, oil, and wood applications, and a 10 year warranty for coal. This liner comes pre-cut, is 15 foot in length, and 12 inches in diameter. It boasts a continuous weld construction which makes it exceptionally strong, and a 316-Ti alloy at a .006" thickness which makes it really light-weight and easy to work with. In order to achieve the best performance, it is recommended that this liner be insulated with 2 wraps of 1/4" Foil-Face Flex Wrap, or with 1" of TherMix for coal or wood applications. This will ensure you meet the UL listing and will allow for zero clearance to combustibles.